Calling all pink, mauve and warm tone lovers!!! 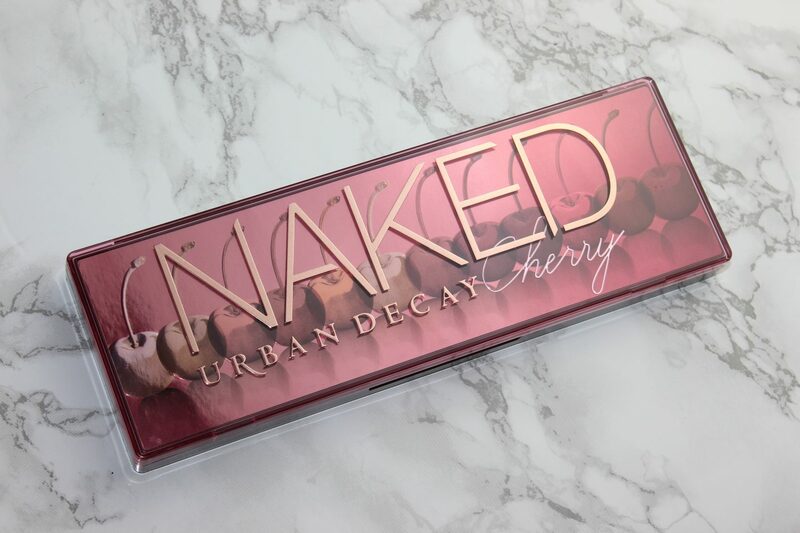 Urban Decay Naked Cherry is the latest edition to the Naked palette series and boy is it a good one! I was lucky enough to get this as a gift from my sweet boyfriend. I did have my eye on this but I wasn’t sure if I should get it, but I’m happy to have this in my collection now. On first impressions, the palette looks so attractive with all these red, pink and mauve tones. I absolutely love colors like this and wear warm tones a lot. We all know that Urban Decay always comes out on top with their packaging and they are always so visually attractive to me. 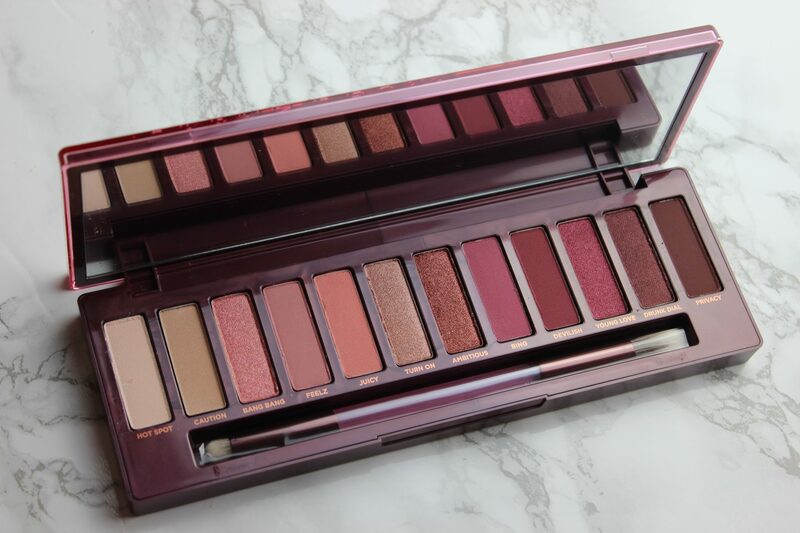 With this one, you get a beautiful mauve/burgundy tone to the overall packaging with rose gold lettering. They have emphasized the ‘Cherry’ wording with pink, almost neon-esque, colouring. The back drop image has multiple cherries all with different tints of colours, giving you that gradient effect. As per the traditional series of Naked palettes, you get 12 all new shades in the palette with a dual ended brush included. One side of the brush is for blending and the other side I would say is for precise outer corner application or to apply colour on the bottom lash line. I have a few Urban Decay palettes but I have never used their brushes that gets included in the palettes. However, this is a nice touch and adds extra value to the product as they can be expensive as a whole. I’m not the biggest fan of dual ended brushes though and the only reason for this is that I can’t keep them standing in my brush holder stand with the rest of my brushes. You receive 7 matte, 1 shimmer and 4 metallic beautiful shades. The best part below, swatchy swatchy time! A great variety of formulas here and I love that there is a vanilla shade, ‘Hot Spot’. I always use vanilla shades to blend out the colours or place under the brows. I spent a few days testing out this palette and have been loving it! The matte shades blend beautifully and smooth. No patchiness. I used the matte shades to blend and warm up the crease. The matte shades also layer on top of each other very well to. You can create a lovely crease with the shades ‘Juicy’, ‘Feelz’ and ‘Bing’. As you can tell from the swatches, the metallic and shimmer shades are very pigmented. I love a good metallic shade to use on the lids and these did not disappoint. The ‘Bang Bang’ shade is slightly less pigmented but this is because this one is the only shimmer type of shade in the palette. ‘Turn On’, ‘Ambitious’, ‘Young Love’ and ‘Drunk Dial’ are the metallic shades and they are very pretty! I approve! I love metallic shades because they can easily create a lovely look just on their own with a bit of ‘Hot Spot’ to blend out the edges and brow bone. Quick and easy look right there! 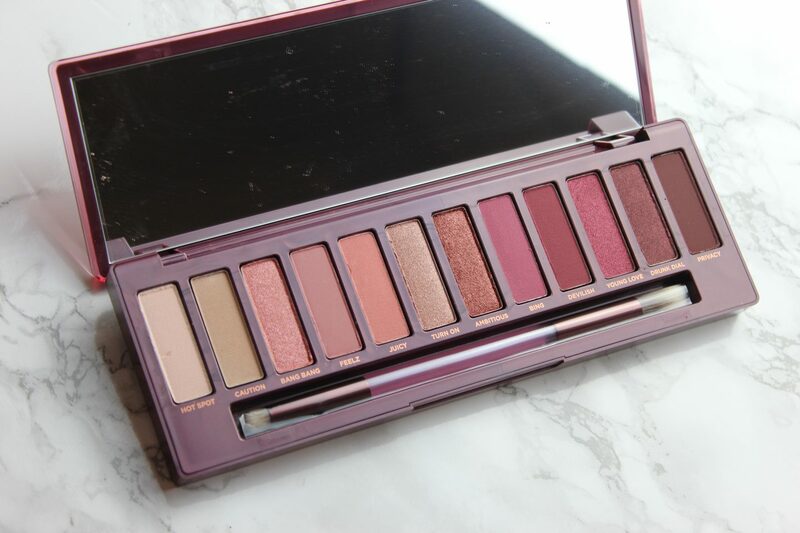 This palette gets a big thumbs up from me! I would recommend this palette to all the warm tone lovers out there. 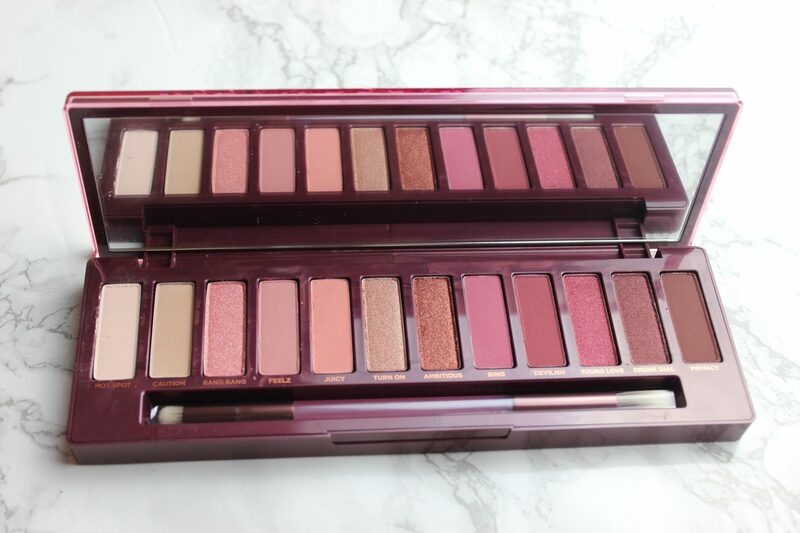 This palette is also great as an every day palette and it feels compact and sturdy, as we all know the Naked palettes are. Apparently I heard that this palette is Limited Edition, which I think they should definitely make this permanent. So if you’re keen, grab it now while it’s still for sale. 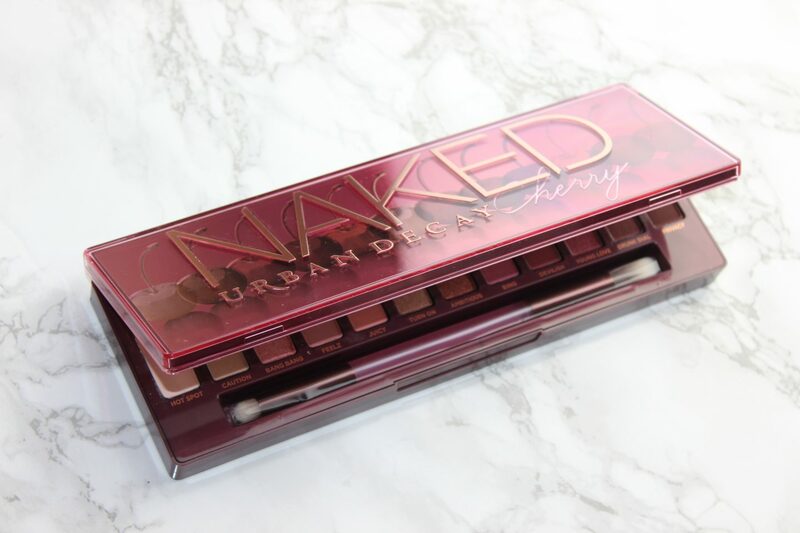 What’s your favourite Urban Decay eyeshadow palette? This looks so pretty babe! 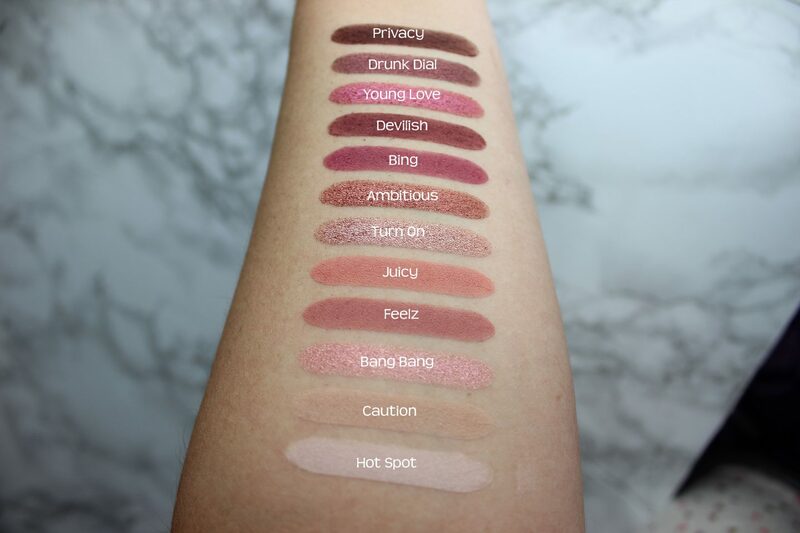 I am loving the swatches. I can’t justify any new makeup at the moment but I literally see new palette’s and I’m like NEEEEEEED! hahah. It’s going to be even worse when we get to the Glamour Beauty fest this year hahaha!